본 발명의 적응형 플라즈마 소스는, 플라즈마가 형성될 반응공간을 갖는 반응챔버 상부에 배치되어 외부의 고주파 전원으로부터의 고주파전력을 인가받아 상기 반응공간 내에 전기장을 형성시키는 적응형 플라즈마 소스에 관한 것이다. Adaptive plasma source of the present invention, is disposed in the upper reaction chamber having a reaction space to plasma is formed to receive applying a high frequency electric power from an external high-frequency power supply according to the adaptive plasma source for forming an electric field in the reaction space. 이 적응형 플라즈마 소스는, 고주파전원과 연결되며 반응챔버 상부의 중심부에 배치되는 도전성의 부싱과, 부싱으로부터 분지되어 부싱 둘레를 나선형으로 감는 형상으로 배치되는 적어도 m개(m은 2 이상의 정수)의 단위코일들을 포함하여 구성된다. The adaptive plasma source, in connection with the high-frequency power source and at least m pieces (m is an integer of 2 or more) which are branched from the bushing and a bushing of electrically conductive disposed in a shape winding of the bushing around the helically disposed in the central portion of the upper reaction chamber It is configured to include a coil unit. 특히 각 단위코일은 b/m회(b는 m보다 큰 정수)의 회전수를 갖는다. In particular, each coil unit has a number of revolutions of the b / m times (b is an integer greater than m). 도 1은 일반적인 플라즈마 반응챔버 내의 위치에 따른 플라즈마 밀도 분포와 CD 변화율의 분포를 각각 나타내 보인 그래프이다. Figure 1 is a graph showing respectively indicate the plasma density distribution and the distribution of CD rate of change according to the position within a plasma reaction chamber. 도 2는 본 발명에 따른 적응형 플라즈마 소스를 채용한 플라즈마 반응챔버의 일 예를 나타내 보인 단면도이다. Figure 2 is a sectional view shown an example of a plasma reaction chamber employing a plasma source adapted according to the present invention. 도 3은 도 2의 적응형 플라즈마 소스를 나타내 보인 평면도이다. Figure 3 is a plan view showing indicate the adaptive plasma source of FIG. 도 4a 및 도 4b는 본 발명의 다른 실시예에 따른 적응형 플라즈마 소스를 설명하기 위하여 나타내 보인 도면들이다. Figures 4a and 4b are diagrams illustrating shown to account for the adaptive plasma source according to another embodiment of the present invention. 도 5a 및 도 5b는 본 발명의 또 다른 실시예에 따른 적응형 플라즈마 소스를 설명하기 위하여 나타내 보인 도면들이다. Figures 5a and 5b are views illustrating shown to account for the adaptive plasma source according to another embodiment of the present invention. 도 6은 본 발명의 또 다른 실시예에 따른 적응형 플라즈마 소스를 설명하기 위하여 나타내 보인 도면이다. 6 is a view illustrating shown to account for the adaptive plasma source according to another embodiment of the present invention. 도 7은 본 발명의 또 다른 실시예에 따른 적응형 플라즈마 소스를 설명하기 위하여 나타내 보인 도면이다. 7 is a view illustrating shown to account for the adaptive plasma source according to another embodiment of the present invention. 도 8은 도 7의 적응형 플라즈마 코일의 인덕턴스성분을 등가적으로 나타내 보인 회로도이다. 8 is a circuit diagram showing represent inductance components of the adaptive plasma coil of Figure 7 equivalently. 도 9a 및 도 9b는 본 발명의 또 다른 실시예에 따라 각진 형상을 갖는 적응형 플라즈마 소스를 나타내 보인 도면들이다. Figures 9a and 9b are diagrams illustrating indicate the adaptive plasma source having an angled shape in accordance with another embodiment of the present invention. 본 발명은 플라즈마를 이용한 반도체 등의 처리에 관한 것으로서, 특히 플라즈마 반응챔버 내의 균일한 플라즈마 발생을 위한 적응형 플라즈마 소스에 관한 것이다. The present invention relates to a process such as a semiconductor using a plasma, in particular to a plasma source adapted for generating a uniform plasma in the plasma reaction chamber. 초고집적(ULSI; Ultra-Large Scale Integrate) 회로소자들의 제조기술은 지난 20여년 간 눈부신 발전을 거듭하였다. Second integrated (ULSI; Ultra-Large Scale Integrate) circuit fabrication techniques of the device was again the remarkable development in the last 20 years. 이는 극한의 기술이 요구되는 공정기술들을 뒷받침할 수 있는 반도체제조설비들이 뒷받침되었기 때문에 가능한 것이었다. This was possible because the semiconductor manufacturing facility to support the process technology that requires extreme techniques are supported. 이들 반도체제조설비들 중 하나인 플라즈마 반응챔버는, 주로 사용되던 식각(etching)공정 이외에도 데포지션(deposition)공정 등에서도 사용되는 등 그 적용 범위를 점점 넓여가고 있다. The semiconductor manufacturing facility of one of the plasma reaction chamber of which, going neolyeo getting the coverage of the release, such as commonly used in addition to etching (etching) process, etc. Use position (deposition) process. 플라즈마 반응챔버는, 그 내부에 플라즈마를 형성시키고, 이 플라즈마를 이용하여 식각, 데포지션 등의 공정들을 수행하기 위한 설비이다. A plasma reaction chamber, and forming a plasma therein, the equipment for performing the processes such as etching, to the position by using the plasma. 이와 같은 플라즈마 반응챔버는, 플라즈마 발생소스에 따라 전자 사이클로트론 공진(ECR; Electron Cyclotron Resonance) 플라즈마 소스, 헬리콘파 여기 플라즈마(HWEP; Helicon-Wave Excited Plasma) 소스, 용량성 결합 플라즈마(CCP; Capacitively Coupled Plasma) 소스, 유도성 결합 플라즈마(ICP; Inductively Coupled Plasma) 소스 등 여러가지 형태로 분류된다. Such a plasma reaction chamber, an electron cyclotron resonance in accordance with the plasma generating source (ECR; Electron Cyclotron Resonance) plasma source, heli konpa excited plasma (HWEP; Helicon-Wave Excited Plasma) source, a capacitively coupled plasma (CCP; Capacitively Coupled Plasma are classified into several types, such as inductively coupled plasma) source;) source, the inductive coupled plasma (ICP. 이 중 ICP 소스는, 유도코일에 RF(Radio Frequency) 전력을 공급하여 자기장을 발생시키고, 이 발생된 자기장에 의해 유도된 전기장에 의하여 챔버 내부 중심에 전자를 가두어 낮은 압력에서도 고밀도 플라즈마를 생성시킨다. Among ICP source, supplying a RF (Radio Frequency) power to the induction coil to generate a magnetic field, thereby generating a high density plasma at low pressure confined electrons into the chamber interior center by an electrical field induced by the generated magnetic field. 이러한 ICP 소스는, ECR 플라즈마 소스나 HWEP 소스와 비교하여 구조적인 면에서 간단하고, 또한 대면적의 플라즈마를 상대적으로 용이하게 얻을 수 있다는 장점으로 인하여 널리 사용되고 있다. The ICP source is simple from the structural surface as compared with the ECR plasma source or HWEP source, and also has been widely used because of the advantage that can be obtained relatively easily with a plasma having a large area. ICP 소스를 채택하고 있는 플라즈마 챔버에 있어서, 공진회로의 인덕터(inductor)를 구성하는 코일에는 큰 RF 전류가 흐르게 되는데, 이 RF 전류량은 챔버 내부에 생성되는 플라즈마의 분포에 큰 영향을 끼친다. In the plasma chamber, which adopts the ICP source, the coils constituting the inductor (inductor) of the resonant circuit, the there is a large RF current to flow, the RF current actually has a great influence on the distribution of the plasma generated inside the chamber. 일반적으로 인덕터를 구성하는 코일 내부에는 자체 저항을 포함하고 있다는 사실은 잘 알려져 있는 사실이다. Inner coil constituting the inductor is generally the fact that the fact that it includes a self-resistance is well known. 따라서 코일 내부를 따라 전류가 흐를 때, 코일을 따라 진행할수록 자체 저항에 의해 에너지 소모가 발생하여 열로 변환되게 되고, 그 결과 코일 내부를 흐르는 전류량은 점점 감소될 수 있다. Therefore, when the current flows along the coil interior, the more progress along the coil is to be converted to heat energy consumption caused by the resistance itself, and as a result the amount of current passing through the coil inside can be reduced more. 이와 같이 코일 내부를 흐르는 전류량이 불균일하게 되면, 챔버 내부에 생성되는 플라즈마 분포도 또한 불균일해질 수 있다. If this is, as the amount of current passing through the coil inside the non-uniform plasma distribution is generated within the chamber it may also be non-uniform. 도 1은 일반적인 플라즈마 챔버에서의 플라즈마 밀도(n i )와 CD(Critical Dimension)의 변화율(이하 △CD)(본 명세서에서 △CD는 공정이 이루어지기 전의 예상 CD와 공정이 이루어진 후의 결과 CD의 차로 정의한다)의 분포를 각각 나타낸 그래프이다. Figure 1 is the rate of change (hereinafter △ CD) (results after △ CD herein, consisting of the estimated CD and the process before being process is performed in the plasma density (n i) and CD (Critical Dimension) of a typical plasma chamber CD drive a graph showing the distribution of defined) each graph. 도 1에 도시된 바와 같이, 플라즈마 밀도(n i )를 나타낸 곡선(12)을 관찰하면, 웨이퍼 중심에서 플라즈마 밀도(n i )가 가장 높은 반면에 웨이퍼 가장자리로 갈수록 플라즈마 밀도(n i )가 감소한다는 것을 알 수 있다. The plasma density (n i) for Observing the illustrated curve 12, the plasma density (n i) is the highest, while the plasma density toward the wafer edge in the (n i) at the wafer center reduces, as shown in Figure 1 it can be seen that. 또한 △CD를 나타낸 곡선(14)을 관찰하면, 상기와 같은 방식으로 플라즈마 밀도(n i )가 불균일해짐에 따라, △CD도 또한 웨이퍼 중심으로부터 웨이퍼 가장자리로 갈수록 증가한다는 사실을 쉽게 알 수 있다. In addition, △ when observing the curve 14 shows the CD, according to the unevenness becomes a plasma density (n i) in a manner as described above, △ CD may also be readily appreciated that increasing toward the wafer edge from the wafer center. 지금까지는 이와 같은 플라즈마 불균일에 의해 발생하는 문제를 주로 공정적인 측면에서 해결하고자 하였다. Until now it was to solve the problem from the aspects of the process, mainly caused by such plasma irregularity. 그러나 리소그라피 공정의 한계 등의 요인들로 인하여 공정적으로 상기와 같은 문제들을 해결하는데는 한계가 있다. However, there is a limitation due to the factors such as the limitations of the lithography process to solve the problems such as the process with the enemy. 본 발명이 이루고자 하는 기술적 과제는, 플라즈마 반응챔버의 내부에서 균일한 플라즈마가 발생되도록 하는 적응형 플라즈마 소스를 제공하는 것이다. The present invention is to provide an adaptive plasma source such that a plasma is generated uniformly in the inside of a plasma reaction chamber. 상기 기술적 과제를 달성하기 위하여, 본 발명의 일 실시예에 따른 적응형 플라즈마 소스는, 플라즈마가 형성될 반응공간을 갖는 반응챔버 상부에 배치되어 외부의 고주파 전원으로부터의 고주파전력을 인가받아 상기 반응공간 내에 전기장을 형성시키는 적응형 플라즈마 소스에 있어서, 상기 고주파전원과 연결되며 상기 반응챔버 상부의 중심부에 배치되는 도전성의 부싱; In order to achieve the above technical problem, an adaptive plasma source according to one embodiment of the present invention it is disposed in the upper reaction chamber having a reaction space to plasma is formed applying a high frequency electric power from an external radio frequency generator receives the reaction space in the adaptation in the plasma source to form an electric field, it is connected to the high frequency power source of the electrically conductive bushing is disposed in the center of the upper part of the reaction chamber; 및 상기 부싱으로부터 분지되어 상기 부싱 둘레를 나선형으로 감는 형상으로 배치되며, m개의 개수를 갖고(m은 2 이상의 정수), 각각이 상기 부싱의 상호 대칭이 되는 위치로부터 분지되어 상기 부싱 둘레를 나선형으로 감는 형상으로 배치되며, 각각이 b/m회(b는 m보다 큰 정수)의 회전수를 동일하게 갖는 단위코일들을 포함하는 것을 특징으로 한다. And is branched from the bushing is disposed in the image take-up the bushing circumference in a spiral, having the m number is branched from a mutually symmetrical position of the bushing (m is an integer of 2 or more), each of the spiral to the bushing circumference are arranged in a roll shape, each of the b / m times is characterized in that it comprises the unit coils having an equal number of revolutions of the (b is an integer greater than m). 상기 부싱은 일정한 직경을 갖는 원형의 형상을 가지며, 상기 단위코일들은 상기 부싱의 가장자리에서 상호 대칭이 되는 위치에서 각각 분지되는 것이 바람직하다. The bushing has a circular shape having a constant diameter, it is preferable that the coil units are respectively branched in a mutually symmetrical positions at the edge of the bushing. 상기 부싱은 다각형 형상을 가지며, 상기 단위코일들도 상기 부싱과 동일한 다각형 형상을 이루면서 상기 부싱 둘레를 나선형으로 감도록 배치되는 것이 바람직하다. The bushing preferably has a polygonal shape, each of the unit coils yirumyeonseo the same polygonal shape as the bushing is arranged to sense the bushing circumference spirally. 이 경우 상기 부싱 및 단위코일은 사각 형상인 것이 바람직하다. In this case, the bushing and the coil unit is preferably a rectangular shape. 또는 상기 부싱 및 단위코일은 육각 형상일 수도 있다. Or the bushing unit and the coil may be a hexagonal shape. 상기 부싱은 상기 반응챔버의 상부에 배치된 상기 단위코일과 동일 평면상에 배치되는 것이 바람직하다. The bushing is preferably disposed on a same plane and wherein the coil unit disposed on top of the reaction chamber. 상기 부싱은 상기 반응챔버의 상부에 배치된 상기 단위코일이 위치한 제1 평면상보다 더 높은 제2 평면상에 배치되는 것이 바람직하다. The bushing is preferably disposed on a higher plane than the second plane wherein the first coil unit arranged on an upper portion of the reaction chamber is located. 이 경우 상기 단위코일은, 상기 제2 평면상에 배치되는 상기 부싱으로부터 분지되어 수직 방향으로 상기 제1 평면상까지 연장된 후에 상기 제1 평면상에서 나선형으로 배치되는 것이 바람직하다. In this case, the coil unit is preferably after the branching from the bushing is arranged on the second plane extending in a direction perpendicular to the first plane is arranged in a spiral on the first plane. 상기 기술적 과제를 달성하기 위하여, 본 발명의 다른 실시예에 따른 적응형 플라즈마 소스는, 플라즈마가 형성될 반응공간을 갖는 반응챔버 상부에 배치되어 외부의 고주파 전원으로부터의 고주파전력을 인가받아 상기 반응공간 내에 전기장을 형성시키는 적응형 플라즈마 소스에 있어서, 상기 반응챔버 상부의 제1 평면상에서 상기 반응챔버 상부의 중심부에 배치되는 도전성의 제1 부싱; In order to achieve the above technical problem, an adaptive plasma source according to another embodiment of the present invention it is disposed in the upper reaction chamber having a reaction space to plasma is formed applying a high frequency electric power from an external radio frequency generator receives the reaction space in the adaptation in the plasma source to form an electric field, the first bushing of electrically conductive disposed in the center of the reaction chamber upper portion on a first plane of the top of the reaction chamber; m 1 개의 개수를 갖고(m 1 은 2 이상의 정수), 각각이 상기 제1 평면상에서 상기 제1 부싱의 상호 대칭이 되는 위치로부터 분지되어 상기 제1 부싱 둘레를 나선형으로 감는 형상으로 배치되며, 각각이 b/m 1 회(b는 m 1 보다 큰 정수)의 회전수를 동일하게 갖는 제1 단위코일들; has a m 1 of the number (m 1 is an integer of 2 or more), each of the first is branched from a position which is symmetrical of said first bushing on the first plane is disposed in the image take-up the first bushing circumference in a spiral, each the b / m 1 times the first unit coil having an equal number of revolutions of the (b is an integer greater than 1 m); 상기 제1 부싱이 배치된 제1 평면상보다 상대적으로 상기 반응챔버의 상부로부터 더 높은 제2 평면상에서 상기 제1 부싱에 대응되도록 배치되되, 상기 제1 부싱으로부터 전기적으로연결되는 도전성의 제2 부싱; Doedoe arranged such that the first bushing is relatively corresponding to the higher the first bushing on the second plane from the top of the reaction chamber than the disposed first plane, the second bushing of the conductive which is electrically connected from the first bushing . ; 및 m 2 개의 개수를 갖고(m 2 은 2 이상의 정수), 각각이 상기 제2 평면상에서 상기 제2 부싱의 상호 대칭이 되는 위치로부터 분지되어 상기 제1 부싱 둘레를 나선형으로 감는 형상으로 배치되며, 각각이 b/m 2 회(b는 m 2 보다 큰 정수)의 회전수를 동일하게 갖는 제2 단위코일들을 포함하는 것을 특징으로 한다. And has two number m (m 2 is an integer of 2 or more), each of the first is branched from a mutually symmetrical position of the second bushing on the second plane are arranged in a shape winding of the first bushing circumference spirally, each of b / m 2 once is characterized in that it comprises a second unit coils having an equal number of revolutions of the (b is an integer greater than 2 m). 상기 제1 부싱의 단면적은 상기 제2 부싱의 단면적보다 더 큰 것이 바람직하다. Cross-section of the first bushing is preferably larger than the cross-sectional area of ​​the second bushing. 본 실시예에 있어서, 상기 제1 평면상과 상기 제2 평면상 사이의 적어도 하나 이상의 평면에서 상기 제1 부싱 및 제2 부싱과 연결되되는 적어도 하나 이상의 제3 부싱; In the present embodiment, the first plane and the first bushing and the at least one third bushing being connected to the second bushing at least one plane between the second plane; 및 상기 제3 부싱으로부터 분지되어 상기 제1 단위코일 및 제2 단위코일과 동일하게 배치되는 적어도 하나 이상의 제3 단위코일들을 더 포함하는 것이 바람직하다. And it is branched from the third bushing may further comprise at least one third coil unit is arranged in the same manner as the first coil units and second coil units. 이하 첨부도면을 참조하여 본 발명의 바람직한 실시예를 상세히 설명하기로 한다. Reference to the accompanying drawings, a description of a preferred embodiment of the present invention; 그러나 본 발명의 실시예들은 여러가지 다른 형태들로 변형될 수 있으며, 따라서 본 발명의 범위가 아래에서 상술되는 실시예들로 한정되는 것으로 해석되어져서는 안된다. However, embodiments of the present invention may be modified into various other forms, and thus should never be in the range of the present invention is construed as limited to the embodiments set forth herein. 도 2는 본 발명에 따른 적응형 플라즈마 소스를 채용한 플라즈마 반응챔버의 일 예를 나타내 보인 단면도이다. Figure 2 is a sectional view shown an example of a plasma reaction chamber employing a plasma source adapted according to the present invention. 그리고 도 3은 도 2의 적응형 플라즈마 소스를 나타내 보인 평면도이다. And Figure 3 is a plan view showing indicate the adaptive plasma source of FIG. 먼저 도 2를 참조하면, 상기 플라즈마 반응챔버(200)는, 챔버외벽(202)에 의해 한정되는 일정 부피의 내부공간(204)을 갖는다. First, 2, the plasma reaction chamber 200 has an inner space of a volume 204 defined by a chamber outer wall 202. 처리하고자하는 대상물, 예컨대 반도체웨이퍼(206)는 플라즈마 반응챔버(200)의 내부공간(204) 하부에 위치된다. Object, for example a semiconductor wafer 206 to be treated is positioned in the lower interior space 204 of the plasma reaction chamber 200. 이 반도체웨이퍼(206)는 플라즈마 반응챔버(200) 하부의 지지대(208) 위에 안착된다. The semiconductor wafer 206 is mounted on a plasma reaction support 208 of the lower chamber (200). 지지대(208)는 플라즈마 반응챔버(200) 외부의 RF(고주파)전원(210)에 연결된다. Support 208 is connected to the external plasma reaction chamber (200), RF (radio frequency) power source (210). 플라즈마 반응챔버(200)의 상부에는 돔(dome)(212)이 배치된다. The upper portion of the plasma reaction chamber 200 has a dome (dome) (212) are arranged. 그리고 돔(212)과 반도체웨이퍼(206) 사이의 공간에 플라즈마(214)가 만들어진다. And a plasma 214 is created in the space between the dome 212 and the semiconductor wafer (206). 상기 플라즈마(214) 형성을 위한 적응형 플라즈마소스(300)는 돔(212) 위에서 돔(212)과 일정 간격 이격되도록 배치된다. Adaptive plasma source for the plasma 214 is formed (300) is arranged to be above the dome 212. The dome 212 and the predetermined distance apart. 적응형 플라즈마소스(300)는 중앙에 배치되는 부싱(bushing)(310)과 복수개의 단위코일들(321, 322, 323)을 포함하여 구성된다. Adaptive plasma source 300 is configured to include a bushing (bushing) 310 and a plurality of unit coils (321, 322, 323) disposed at the center. 부싱(310)은 RF전원(216)과 연결된다. Bushing 310 is connected to the RF power source 216. 상기 RF전원(216)으로부터 RF전력을 공급받은 단위코일들(321, 322, 323)은 전기장을 발생시킨다. Which receives the supply of RF power from the RF power source 216, a coil unit (321, 322, 323) generates an electric field. 이 전기장은 돔(212)을 통과하여 반응챔버(200)의 내부공간(204)으로 유기된다. The electric field passes through the dome 212 is induced into the internal space 204 of the reaction chamber 200. 내부공간(204)에 유기된 전기장은 내부공간(204) 내의 가스들을 방전시켜서 플라즈마화하고, 이로부터 발생된 중성의 라디컬 입자들과 전하를 띤 이온들 사이의 화학반응이 발생되도록 한다. The electric field induced in the internal space 204 so that the discharge gas by the plasma and the chemical reactions between the ions of the charged particles and charge-neutral radicals generated therefrom occurs in the inner space 204. 이와 같이 상기 플라즈마 반응챔버(200)의 내부공간(204) 내에 플라즈마(214)를 발생시키는 적응형 플라즈마소스(300)는, 도 3에 도시된 바와 같이, 중심부의 부싱(310)으로부터 분지된 복수개의 단위코일들(321, 322, 323)이 부싱(310) 둘레를 나선형으로 감는 구조를 갖는다. Thus, as illustrated in the adaptive plasma source 300, FIG. 3 for generating the plasma 214 within the inner space 204 of the plasma reaction chamber 200 described, the plurality branched from the bushing 310 of the heart the two coil units (321, 322, 323) to have a structure of winding the bushing circumference (310) in a helical manner. 부싱(310)은 원형의 형상을 가지지만, 다른 여러 형상을 가질 수도 있다. Bushing 310 only have a circular shape, and may have other various shapes. 예컨대 상기 부싱(310)은, 삼각형과 같은 다각형 형상을 가질 수도 있으며, 또는 원형이나 다각형의 도넛형상을 가질 수도 있다. For example, the bushing 310, and may have a polygonal shape such as triangular, or may have a donut-like circular or polygonal. 이 부싱(310)은 플라즈마 반응챔버의 중심부에 대응되도록 배치되며, 따라서 플라즈마 반응챔버의 중심부에서의 플라즈마 밀도를 감소시킬 수 있다. The bushing 310 is disposed so as to correspond to the center of a plasma reaction chamber, and thus it is possible to reduce the plasma density at the central portion of the plasma reaction chamber. 단위코일들(321, 322, 323)과 부싱(310)이 연결되는 분지점들(a, b, c)은 상호 대칭을 이룬다. The branch point that the coil unit (321, 322, 323) and the bushing (310) is connected (a, b, c) forms a symmetrical. 단위코일들(321, 322, 323)은 부싱(310)을 통해 RF전원(216)으로부터의 RF전력을 공급받아야 하므로, 부싱(310)의 일부 또는 전부는 도전체로 이루어진다. Some or all of the unit coils (321, 322, 323) so be supplied with RF power from the RF power source 216 through the bushing 310, the bushing 310 is made of a conductive material. 일 예로서, 도면에는 단위코일의 개수 및 각 단위코일의 회전수가 각각 3개 및 1회인 경우를 나타내었지만, 단위코일의 개수는 2개일 수 있으며, 또는 4개 이상일 수도 있다. As an example, the figure number and the number of revolutions of each of the unit coils of coil units although the three and one hoein each case, the number of coil units may be 2 days, or 4 may be greater. 또한 각 단위코일의 회전수는 아래의 수학식 1로 나타낸 바와 같은 일정한 규칙에 의해 선택된 회전수들 중 하나이어야 한다. In addition, the number of revolutions of each of the unit coils to be less one of a number of revolutions is selected by a predetermined rule as shown in Equation 1 below. 여기서 n은 각 단위코일의 회전수를 나타내고, a 및 b는 양의 정수값을 나타내며, 그리고 m은 단위코일의 개수를 나타낸다. Where n represents the number of revolutions of each of the unit coils, a, and b represents a positive integer value, and m is the number of unit coils. 상기 수학식 1에 의해 나타낸 바에 따르면, 도 3의 각 단위코일(321, 322 또는 323)의 회전수(n)는, 단위코일의 개수(m)가 3이므로, 1과 1/3회, 1과 2/3회, 1과 2/3회, 2회 … According indicated by the equation (1), rotational speed (n) of each of the unit coils (321, 322 or 323) of Figure 3, since the number (m) of the coil unit 3, the first and third times, 1 and 3.2 times times, 1 2/3, 2 ... 가 될 수 있다. It may be. 이와 같은 조건이 충족될 경우, 어느 위치에서도 단위코일들(321, 322, 323)의 배치가 상호 대칭을 이루고, 따라서 균일한 플라즈마 밀도를 만들 수 있다. If these conditions are met, which is located in the arrangement of the unit coils (321, 322, 323) forms a symmetrical, and therefore can create a uniform plasma density. 즉 부싱(310)의 중심점을 지나는 라인들 중 어느 라인을 따라 절단하더라도 각 단위코일의 좌우 배치가 대칭을 이루게 된다. That is, even if cut along any line of the line passing through the center point of the bushing 310 is disposed right and left of the unit coil is formed symmetrical. 그러나 상기 수학식 1과 같은 조건이 충족되지 않은 경우에는, 각 단위코일의 좌우 배치가 비대칭을 이룰 수도 있는데, 일 예로 부싱의 좌측에는 3개의 단위코일이 모두 배치되는 반면에 부싱의 우측에는 2개의 단위코일만이 배치되는 현상이 발생할 수 있다. However, when the conditions such as the equation (1) is not satisfied, the two there is a left and right placement of the unit coil may achieve asymmetry, For example, the left side of the bushing in the bushing on the other hand are arranged all three units coil right this phenomenon may occur that unit coils arranged only. 이와 같은 비대칭적인 배치는, 플라즈마 반응챔버 내의 내부공간에 만들어지는 플라즈마 밀도가 불균일하게 형성되도록 하는 원인들 중 하나가 될 수 있다. The asymmetrical arrangement such, can be one of the causes of the plasma density are created in the inner space in a plasma reaction chamber so as to form non-uniform. 도 4a 및 도 4b는 본 발명의 다른 실시예에 따른 적응형 플라즈마 소스를 설명하기 위하여 나타내 보인 도면들이다. Figures 4a and 4b are diagrams illustrating shown to account for the adaptive plasma source according to another embodiment of the present invention. 구체적으로 도 4a는 본 실시예에 따른 적응형 플라즈마 소스가 플라즈마 반응챔버에 부착되는 구조를 나타내 보인 것이고, 도 4b는 도 4a의 적응형 플라즈마 소스를 입체적으로 나타내 보인 도면이다. Specifically, Figure 4a will represent the structure shown attached to an adaptive plasma source is a plasma reaction chamber in accordance with this embodiment, Figure 4b is a diagram showing in three dimensions represent the adaptive plasma source of Figure 4a. 도 4a에서 도 2와 동일한 참조부호는 동일한 요소를 나타내므로 중복되는 설명은 생략하기로 한다. In Figure 4a and Figure 2, like reference numerals describe like elements and overlapping it represents will be omitted. 도 4a 및 도 4b를 참조하면, 본 실시예에 따른 적응형 플라즈마 소스는, 상부에 배치된 부싱(410) 및 하부에 배치된 2개 이상의 복수개, 예컨대 3개의 단위코일들(421, 422, 423)을 포함하여 구성된다. When FIG. 4a and FIG. 4b, the adaptive plasma source according to the present embodiment, the bushing 410 is disposed at the top and bottom with two or more plural placed in, for example, three units of the coil (421, 422, 423 ) it is configured to include a. 단위코일들(421, 422, 423)은 플라즈마 반응챔버(200)의 돔(212) 상부표면에 인접한 제1 평면(4a)상에 배치된다. The coil unit (421, 422, 423) is disposed on a first plane (4a) adjacent to the dome 212, the upper surface of the plasma reaction chamber 200. 부싱(410)은 상대적으로 돔(212)의 상부표면으로부터 더 멀리 떨어져 있는 제2 평면(4b)상에 배치된다. Bushing 410 is disposed on a second plane (4b) which is relatively further away from the top surface of the dome (212). 구체적으로 제2 평면(4b)상에서 부싱(410)으로부터 분지되는 단위코일들(421, 422, 423)은 제1 평면(4a)상에 이르기까지 각각 수직방향으로 연장된다. More specifically, the second plane of the coil unit which is branched from the bushing 410 on the (4b) (421, 422, 423) extend in each of the vertical direction down to the first plane (4a). 제1 평면(4a)상에 도달된 각 단위코일(421, 422, 423)은 제1 평면(4a)상에서 나선형으로 배치된다. The respective units of the coil reaches on the first plane (4a) (421, 422, 423) are disposed in a spiral on the first plane (4a). 각 단위코일(421, 422, 423)이 나선형으로 배치되는 구조는 도 3을 참조하여 설명한 바와 동일하므로 그 중복되는 설명은 생략하기로 한다. Each of the unit coils (421, 422, 423) structure is arranged in a helical manner is described in which the duplicate the same as described with reference to Figure 3 will be omitted. 도 5a 및 도 5b는 본 발명의 또 다른 실시예에 따른 적응형 플라즈마 소스를 설명하기 위하여 나타내 보인 도면들이다. Figures 5a and 5b are views illustrating shown to account for the adaptive plasma source according to another embodiment of the present invention. 구체적으로 도 5a는 본 실시예에 따른 적응형 플라즈마 소스가 플라즈마 반응챔버에 부착되는 구조를 나타내 보인 것이고, 도 5b는 도 5a의 적응형 플라즈마 소스를 입체적으로 나타내 보인 도면이다. Specifically, Figure 5a is shown will indicate a structure which is attached to the adaptive plasma source is a plasma reaction chamber according to the embodiment, Fig. 5b is a diagram showing in three dimensions represent the adaptive plasma source of FIG. 5a. 도 5a에서 도 2와 동일한 참조부호는 동일한 요소를 나타내므로 중복되는 설명은 생략하기로 한다. In Figure 5a Figure 2 and like reference numerals describe like elements and overlapping it represents will be omitted. 도 5a 및 도 5b를 참조하면, 본 실시예에 따른 적응형 플라즈마 소스는, 하부에 배치된 제1 부싱(510) 및 상부에 배치된 제2 부싱(530)을 포함하여 구성된다. When FIG. 5a and FIG 5b, the adaptive plasma source according to the present embodiment is configured to include a first bushing 510 and second bushing 530 is placed on top disposed below. 제1 부싱(510)은 플라즈마 반응챔버(200)의 돔(212) 상부표면상의 제1 평면(5a)상에 배치되며, 제2 부싱(530)은 제1 평면(5a)보다 일정 높이만큼 더 높은 제2 평면(5b)상에 배치된다. The first bushing 510 is dome 212 of the plasma reaction chamber 200 is disposed on a first plane (5a) on the upper surface, the second bushing 530 is further by a predetermined height than the first plane (5a) the high are disposed on a second plane (5b). 제1 평면(5a)상에는 제1 부싱(510) 이외에도 2개 이상의 복수개, 예컨대 3개의 제1 단위코일들(521, 522, 523)이 배치된다. A first plane (5a) in addition to the first bushing (510) formed on at least two plurality of, e.g., arranged in the three first coil units (521, 522, 523). 마찬가지로 제2 평면(5b)상에도 제2 부싱(530) 이외에 2개 이상의 복수개, 예컨대 3개의 제2 단위코일들(541, 542, 543)이 배치된다. Similarly, a second plane (5b) in the second bushing 530, in addition to two or more of a plurality, for example three in the second coil unit (541, 542, 543) are disposed. 제1 부싱(510)과 제2 부싱(530)은 연결막대(550)에 의해 상호 연결된다. A first bushing 510 and second bushing 530 are interconnected by a connecting rod 550. 연결막대(550)는 도전성 재질로 이루어지므로, RF전원(216)으로부터의 RF전력은 제2 부싱(530) 및 연결막대(550)를 통해 제1 부싱(510)으로 전달될 수 있다. Connecting rod 550 is made on a conductive material, RF power from the RF power supply 216 may be transferred to the first bushing (510) through the second bushing 530 and the connecting rod 550. 제1 단위코일들(521, 522, 523)은 제1 부싱(510)으로부터 분지되어, 각각 제1 평면(5a)상에서 제1 부싱(510) 둘레를 나선형으로 감도록 배치된다. The coil unit of claim 1 (521, 522, 523) is arranged to sense a first bushing (510) on the circumferential first bushing is branched from the (510), each first plane (5a) in a helical manner. 제2 단위코일들(541, 542, 543)은 제2 부싱(530)으로부터 분지되어, 각각 제2 평면(5b)상에서 제2 부싱(530) 둘레를 나선형으로 감도록 배치된다. The coil of the second unit (541, 542, 543) is arranged to sense a second bushing 530 on the circumference each of the second plane (5b) is branched, from the second bushing (530) in a helical manner. 제1 평면(5a)상에서 제1 단위코일들(521, 522, 523)이 배치되는 구조와 제2 평면(5b)상에서 제2 단위코일들(541, 542, 543)이 배치되는 구조는 모두 도 3을 참조하여 설명한 바와 동일하다. A first plane a first unit coils (521, 522, 523), the structure and the second plane a second unit coils (541, 542, 543) the structure is arranged on the (5b) disposed on the (5a) is a both refer to 3 is the same as described above. 한편 도면상에는 나타내지 않았지만, 제1 평면(5a) 및 제2 평면(5b) 사이의 일 평면상에는 제1 부싱(510) 및 제2 부싱(530)과 동일하게 배치되는 부싱(미도시)이 적어도 하나 이상 더 배치될 수 있으며, 이 부싱으로부터 적어도 2개 이상의 단위코일(미도시)들이 제1 단위코일 및 제2 단위코일과 동일하게 배치될 수 있다. Meanwhile, although not shown formed on the figure, the first plane (5a) and a second plane (5b) one flat formed on the (not shown) bushing being identically arranged, and one bushing 510 and second bushing 530 between the at least one above can be further disposed, and may be have at least (not shown), two or more coil units arranged in the same manner as the first coil units and second coil units from the bushing. 또한 제1 단위코일의 개수와 제2 단위코일의 개수는 같을 수도 있고 다를 수도 있다. In addition, the number of the count and the second coil unit of the first unit coil may be the same or different. 도 6을 참조하면, 본 실시예에 따른 적응형 플라즈마 소스는, 하부의 제1 부싱(510)의 지름(d1)과 상부의 제2 부싱(530)의 지름(d2)이 서로 다른 점에서 도 5a의 적응형 플라즈마 소스와 다르다. Referring to Figure 6, in the diameter of dots (d2) are different in diameter (d1) and the second bushing 530 of the upper portion of the first bushing 510 of the adaptive plasma source, the bottom according to the embodiment FIG. 5a differs from the adaptive plasma source. 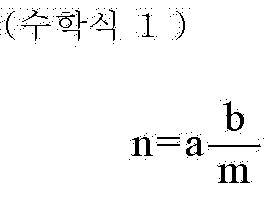 즉 제1 평면(5a)상의 제1 부싱(510)의 지름(d1)이 제2 평면(5b)상의 제2 부싱(530)의 지름(d2)보다 더 크다. That is greater than the diameter (d2) of the first plane (5a), the first bushing 510, the diameter (d1) to the second plane a second bushing (530) on the (5b) on the. 이는 제1 부싱(510)의 단면적이 제2 부싱(530)의 단면적보다 더 크다는 것을 의미한다. This means that the cross-section of the first bushing 510 is larger than the cross-sectional area of ​​the second bushing (530). 즉 제1 부싱(510)의 지름(d1)이 제2 부싱(530)의 지름(d2)과 동일한 경우보다, 제1 부싱(510)의 지름(d1)이 늘어난 경우로서, 플라즈마 반응챔버(200)의 중심부에서의 플라즈마 밀도를 감소시키는데 더 효과적이다. I.e., the diameter (d1) is the more, if same as the diameter (d2) of the second bushing 530, as when the diameter (d1) of the first bushing 510 is increased, the plasma reaction chamber (200 of the first bushing 510 ) is more effective to decrease the plasma density at the central portion of. 다시 말하면, 제1 단위코일들(521, 522, 523)과 중첩되는 플라즈마 반응챔버(200)의 영역이 감소됨에 따라 플라즈마 밀도가 낮아지는 영역이 더 넓어지게 된다. In other words, the first unit coils (521, 522, 523) and that the plasma density decreases according to the area of ​​the plasma reaction chamber 200 is reduced to be overlapped area becomes wider. 도 7을 참조하면, 하부의 제1 단위코일들(521, 522, 523)의 개수와 상부의 제2 단위코일들(541, 542, 543, 544)의 개수가 서로 다른 점에서 도 5a의 적응형 플라즈마 소스와 다르다. 7, the lower first unit coils (521, 522, 523) the number and the top of the second unit coils adaptation (541, 542, 543, 544) to each other Figure 5a in different number of points of different from the plasma source. 즉 하부의 제1 단위코일들(521, 522, 523)의 개수는 3개인 반면에, 상부의 제2 단위코일들(541, 542, 543, 544)의 개수는 4개로서 서로 다르다. I.e. the number of the unit of the lower first coil (521, 522, 523) is on the other hand, with three, the number of the second coil unit in the upper part (541, 542, 543, 544) are different from each other as four. 이와 같이 하부의 단위코일의 개수와 상부의 단위코일의 개수를 조절함으로써 보다 정밀한 임피던스를 얻을 수 있다. Thus, by controlling the number of units to the number of the upper coil of the coil of the lower unit it can be obtained a more precise impedance. 도 8을 참조하면, 하부의 제1 단위코일들(521, 522, 523)은 모두 제1 부싱(510)으로부터 분지되므로 상호 병렬로 연결되는 회로구조를 이루고, 상부의 제2 단위코일들(541, 542, 543, 544)도 또한 제2 부싱(530)으로부터 분지되므로 상호 병렬로 연결되는 회로구조를 이룬다. In Fig 8, the first unit coil of the bottom (521, 522, 523) are all of the first, so branched from the bushing 510 forms a circuit structure through to each other in parallel, the second unit coil of the upper (541 , 542, 543, 544) also constitutes a circuit configuration connected in parallel to each other, so branched from the second bushing (530). 각각의 단위코일들이 모두 동일한 임피던스(Z)를 가질 경우, 상부의 제2 단위코일회로의 제2 등가임피던스(Z2)는 Z/4가 되며, 마찬가지로 하부의 제1 단위코일회로의 제1 등가임피던스(Z1)는 Z/3이 된다. If each of the unit coils to have all of the same impedance (Z), the second unit of the coil circuit of the second equivalent impedance (Z2) is Z / 4 that is, as the first unit coil circuit of the first equivalent impedance of the lower part of the upper (Z1) is a Z / 3. 따라서 전체 등가임피던스(Zt)는 제1 등가임피던스(Z1)와 제2 등가임피던스(Z2)의 합이므로 7Z/12가 된다. Therefore, the total equivalent impedance (Zt) is the sum so 7Z / 12 of the first equivalent impedance (Z1) and the second equivalent impedance (Z2). 즉 하나의 단위코일이 갖는 임피던스의 7/12배의 등가임피던스를 얻을 수 있으며, 이에 따라 보다 더 세밀한 등가임피던스, 예컨대 본 실시예에서와 같이 하부에 3개의 단위코일들이 배치되고 상부에 4개의 단위코일들이 배치되는 경우 하나의 단위코일이 갖는 임피던스의 1/12배 내지 12/12배를 얻을 수 있다. That is to obtain the equivalent impedance of the impedance 7/12 times a unit having a coil, and, thus more precise than the equivalent impedance, for example, and three unit coils are arranged below, as in this embodiment, four units of the upper If the coils are arranged to obtain a 1/12 times to 12/12 times the impedance having a single coil unit. 지금까지 부싱이 원형의 형상을 갖는 경우를 예를 들어 설명하였지만, 경우에 따라서 부싱은 각진(angular) 형상을 가질 수도 있다. Although so far bushing is described as an example a case of having the shape of a circle, in some cases, the bushing may have an angled (angular) shapes. 일 예로서, 도 9a에 도시된 바와 같이, 사각 형상의 부싱(910)이 사용될 수도 있고, 또는 도 9b에 도시된 바와 같이, 6각 형상의 부싱(930)이 사용될 수도 있다. As one example, as shown in as shown in Fig. 9a, and the bushing 910 of the rectangular shape may be used, or as shown in Figure 9b, 6 may be used in the bushing 930 of the rectangular shape. 먼저 도 9a에 도시된 바와 같이, 사각 형상의 부싱(910)을 사용하는 경우, 2개 이상의 복수개, 예컨대 4개의 단위코일들(921, 922, 923, 924)은 부싱(910)의 변으로부터 상호 대칭적으로 분지된다. First, the case of using a bushing 910 of the rectangular shape, two or more of a plurality, e.g., four unit coils (921, 922, 923, 924) as shown in Figure 9a is a cross from the side of the bushing 910 It is branched symmetrically. 경우에 따라서 부싱(910)의 각 모서리로부터 분지될 수도 있다는 것은 당연하다. In some cases, it may be that the branching from the respective edge of the bushing 910, it is natural. 이 경우 각 단위코일들(921, 922, 923, 924)의 회전수는 앞서 설명한 수학식 1에 의해 결정된다. In this case, the number of revolutions of each of the unit coils (921, 922, 923, 924) is determined by the equation (1) described above. 즉 4개의 단위코일들(921, 922, 923, 924)이 사용되므로, 그 회전수는 1과 1/4, 1과 2/4, 1과 3/4, 2… That is, because the four unit coils (921, 922, 923, 924) is used, the rotation number is 1 and 1/4, 1, 2/4, 3/4 and 1, 2 ... 등이 된다. Is the like. 다음에 도 9b에 도시된 바와 같이, 6각 형상의 부싱(930)을 사용하는 경우, 2개 이상의 복수개, 예컨대 6개의 단위코일들(941, 942, 943, 944, 945, 946)은 부싱(930)의 각 모서리로부터 상호 대칭적으로 분지된다. As next shown in shown in Figure 9b, 6 When using the bushings 930 in a square shape, two or more of a plurality of, for example, six units of the coil (941, 942, 943, 944, 945, 946) is a bushing ( 930) is branched to each other symmetrically from the respective edge of the. 이 경우 각 단위코일들(941, 942, 943, 944, 945, 946)의 회전수는 앞서 설명한 수학식 1에 의해 결정된다. In this case, the number of revolutions of each of the unit coils (941, 942, 943, 944, 945, 946) is determined by the equation (1) described above. 즉 6개의 단위코일들(941, 942, 943, 944, 945, 946)이 사용되므로, 그 회전수는 1과 1/6, 1과 2/6, 1과 3/6, 1과 4/6, 1과 5/6, 2… That is, the six coil units (941, 942, 943, 944, 945, 946) can, rotation that are used are 1 and 1/6, 1, 2/6, 1, 3/6, 1 and 4/6 , 1, 5/6, 2, ... 등이 된다. Is the like. 이상의 설명에서와 같이, 본 발명에 따른 적응형 플라즈마 소스에 의하면, 일정한 규칙에 의해 단위코일들을 부싱 둘레에 나선형으로 배치함에 따라 어느 위치에서도 상호 대칭이 되는 코일배치가 이루어지며, 이에 따라 균일한 플라즈마 밀도를 발생시킬 수 있다. As in the above description, according to the adaptive plasma source according to the present invention, a coil arrangement which is symmetrical in any position is made as the placement of the unit coil by a predetermined rule in a spiral on the bushing circumference, and thus a uniform plasma along It can generate density. 이 외에도 중심부에 배치되는 부싱으로 인하여 상대적으로 강한 중심부에서의 플라즈마 밀도를 경감시켜서 전체적으로 균일한 플라즈마 밀도로 분포시킬 수 있다. In addition, by because of the bushing disposed at the center of reducing the plasma density at the center of a relatively strong it can be distributed in a uniform plasma density throughout. 또한 상부 및 하부에 각각 부싱 및 단위코일들을 배치시킴으로써, 단위코일들의 개수 및 회전수의 조절을 통해 전체 임피던스 조절을 미세하게 할 수 있다는 이점도 제공한다. It also provides the advantage that by placing the respective bushing unit and the coil in the upper and lower, to the whole impedance adjusted finely by adjusting the number of rotation and the number of unit coils. m개의 개수를 갖고(m은 2 이상의 정수), 각각이 상기 부싱의 상호 대칭이 되는 위치로부터 분지되어 상기 부싱 둘레를 나선형으로 감는 형상으로 배치되며, 각각이 b/m회(b는 m보다 큰 정수)의 회전수를 동일하게 갖는 단위코일들을 포함하는 것을 특징으로 하는 적응형 플라즈마 소스. Has the m number (m is an integer of 2 or greater), and each are branched from a mutually symmetrical position in which the bushing is disposed in the image take-up the bushing circumference in a spiral, each of b / m times (b is larger than m integer) adaptive plasma source, characterized in that it comprises a revolution the coil unit having the same. 상기 부싱은 일정한 직경을 갖는 원형의 형상을 가지며, 상기 단위코일들은 상기 부싱의 가장자리에서 상호 대칭이 되는 위치에서 각각 분지되는 것을 특징으로 하는 적응형 플라즈마 소스. The bushing has a circular shape having a constant diameter, the coil units are adaptive plasma source, it characterized in that each branch in a mutually symmetrical positions at the edge of the bushing. 상기 부싱은 다각형 형상을 가지며, 상기 단위코일들은 상기 부싱의 모양을 따라서 상기 부싱 둘레를 나선형으로 감도록 배치되는 것을 특징으로 하는 적응형 플라즈마 소스. It said bushing has a polygonal shape, the coil units are adaptive plasma source, characterized in that along the shape of the bushing is arranged to sense the bushing circumference spirally. 상기 부싱은 사각 형상인 것을 특징으로 하는 적응형 플라즈마 소스. The bushing is adapted plasma source, characterized in that the rectangular shape. 상기 부싱은 육각 형상인 것을 특징으로 하는 적응형 플라즈마 소스. The bushing is adapted plasma source, characterized in that the hexagonal shape. 상기 부싱은 상기 반응챔버의 상부에 배치된 상기 단위코일과 동일 평면상에 배치되는 것을 특징으로 하는 적응형 플라즈마 소스. The bushing is adapted plasma source, characterized in that disposed on the same plane and the coil unit disposed on top of the reaction chamber. 상기 부싱은 상기 반응챔버의 상부에 배치된 상기 단위코일이 위치한 제1 평면상보다 더 높은 제2 평면상에 배치되는 것을 특징으로 하는 적응형 플라즈마 소스. The bushing is adapted plasma source, characterized in that disposed on a higher plane than the second plane wherein the first coil unit arranged on an upper portion of the reaction chamber is located. 상기 단위코일은, 상기 제2 평면상에 배치되는 상기 부싱으로부터 분지되어 수직 방향으로 상기 제1 평면상까지 연장된 후에 상기 제1 평면상에서 나선형으로 배치되는 것을 특징으로 하는 적응형 플라즈마 소스. The coil unit is an adaptive plasma source, characterized in that after the first is branched from the bushing to be disposed on the second plane extending perpendicularly to the first plane is arranged in a spiral on the first plane. m 2 개의 개수를 갖고(m 2 은 2 이상의 정수), 각각이 상기 제2 평면상에서 상기 제2 부싱의 상호 대칭이 되는 위치로부터 분지되어 상기 제1 부싱 둘레를 나선형으로 감는 형상으로 배치되며, 각각이 b/m 2 회(b는 m 2 보다 큰 정수)의 회전수를 동일하게 갖는 제2 단위코일들을 포함하는 것을 특징으로 하는 적응형 플라즈마 소스. has a m 2 of the number (m 2 is an integer of 2 or more), each of the first is branched from a mutually symmetrical position of the second bushing on the second plane are arranged in a shape winding of the first bushing circumference in a spiral, each the b / m 2 once the adaptive plasma source, characterized in that it comprises a second unit coils having an equal number of revolutions of the (b is an integer greater than 2 m). 상기 제1 부싱의 단면적은 상기 제2 부싱의 단면적보다 같거나 더 큰 것을 특징으로 하는 적응형 플라즈마 소스. Cross-section of the first bushing is an adaptive plasma source, characterized in that equal to or greater than the cross-sectional area of ​​the second bushing. 상기 제3 부싱으로부터 분지되어 상기 제1 단위코일 및 제2 단위코일과 동일하게 배치되는 적어도 하나 이상의 제3 단위코일들을 더 포함하는 것을 특징으로 하는 적응형 플라즈마 소스. Adaptive plasma source according to claim 1, further comprising at least one third coil unit is branched from the third bushing to be arranged in the same manner as the first coil units and second coil units.